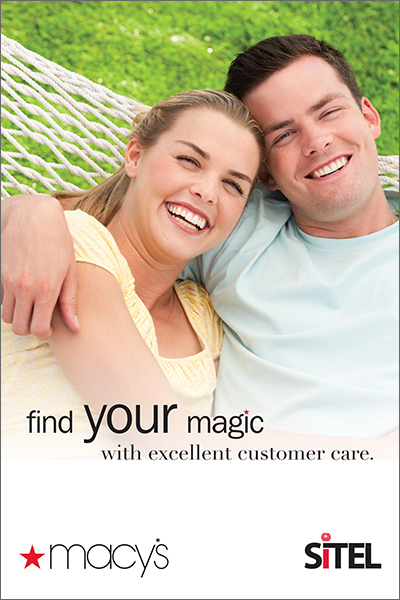 SiTEL requested banners and posters that would feel inviting to potential new clients and entice them to partner with SiTEL for customer service locations. SiTEL wanted each potential client’s marketing collateral to reflect that company’s brand and how it would work well with SiTEL’s product offerings. 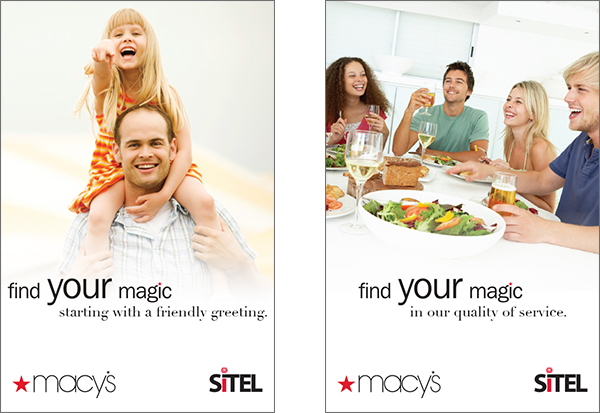 This particular set of posters and banners was for SiTEL’s partnership with Macy’s. I reviewed a number of Macy’s marketing pieces at the time and married SiTEL’s vision of creating happy customers through creating a quality customer service environment with that of Macy’s current branding.